Ranthambore is famous for sightseeing of tigers but with tigers it is also famous for other animals like leopard, nilgai, wildgai, wild boar, sambar, hyena, sloth, gray langur and many more. With these animals the place is also famous as the home for many birds. Over all Ranthambore is a pleasing place for all nature enthusiasts. Travellers visiting this place have lots of options for accommodation. 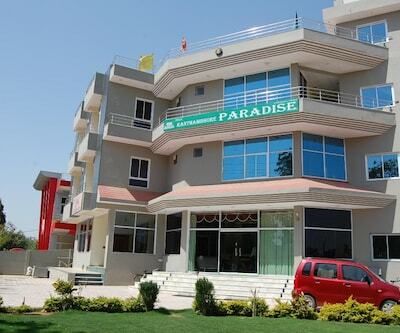 Nestled near the wildlife reserve Hotel Green Valley is one of the best budget hotels in Ranthambore. 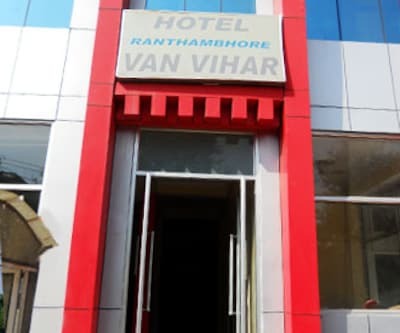 The hotel features facilities like laundry, in-house internet connectivity, room service, welcoming reception, transport facility; campfire (during winter), taxi hire, ticket booking and many more. Rooms of the property are elegantly designed and are well-furnished. These spacious rooms are neat and spotlessly clean and are fitted with AC, plasma TV, intercom facility and telephone. Attached bathroom have hot and cold water facility with geyser. The in-house restaurant serves delicious dishes from around the world. An Ayurvedic massage facilities is provided for guests to relax. Bus Stand is 5 km, Ranthambore Station is 16 km and Jaipur International Airport is 155 km from this place. 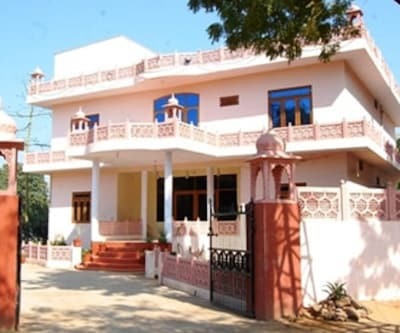 Travellers staying in this place has tourist attractions such as Craft House, Shri Chamatkar Ji Ka Jain Mandir, Rajiv Gandhi Regional Museum of Natural History and many more. Guests can also relax at tiger safari resort which is listed among cheap Ranthambore hotels. The property is a blend of superb architecture. The beautifully designed, elegantly built and nicely landscaped. The large spacious and airy rooms are nicely designed. The luxurious furniture is fitted in all rooms. All the rooms are having splendidly sweeping balconies. Guest in hotel can savor scrumptious food at in-house restaurant and also offers pleasing ambience. Live in the lap of serene nature, patrons can enjoy watching animals, birds roacming and flying near property. The property is 5 minutes drive from Sawai Madhopur Railway Junction. 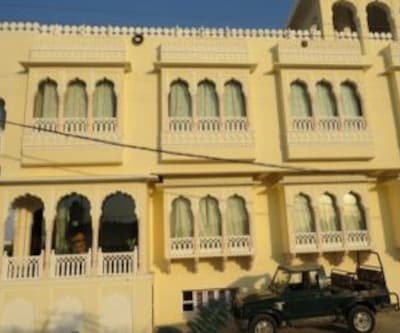 Hotel also offers pure Rajasthani cuisine where you can steep yourself in tradition and culture at the property. Tourist attractions such as Ranthambore National Park, Ranthambore Fort and many more are located within the proximity of 10 minutes. 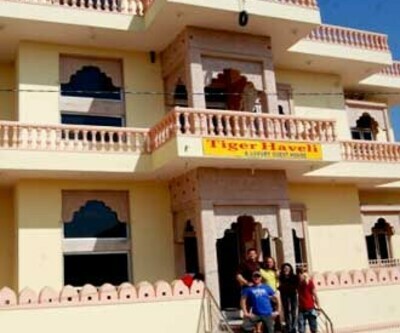 Other hotels like Tiger Home Ranthambore, tiger haveli, hotel continental Ranthambore and many more are some other budget Ranthambore hotels. 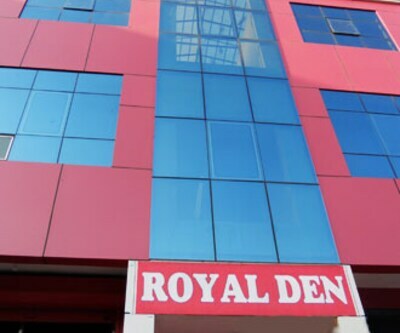 Hotel Tiger Haveli distance from Railway Station.? Can we accomodate 03 persons in one room in budget hotel? Yes but 3rd person will be chargeable extra cost from double occupancy. Kindly advise good budget hotels in Ranthambhore.? Tiger safari Resort & Ranthambhore Tiger Valley.